Doncaster's Keepmoat Stadium will host a World Cup warm-up match between New Zealand and the Cook Islands on October 20. The Kiwis open the defence of their World Cup title a week later against Samoa in Warrington, while the Cook Islands get their campaign under way against the United States in Bristol on Wednesday, October 30. "We wanted a decent hit-out under English conditions before the World Cup," New Zealand manager Tony Iro said. "There's a chance some of our guys won't have played for six to seven weeks and we don't want to be underdone going into a tough first World Cup match against Samoa." 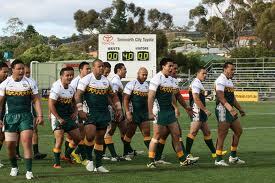 The match is the result of talks between Iro and his older brother Kevin, who is the commissioner of Cook Islands Rugby League. "We couldn't have asked for a better build-up to our campaign than by testing ourselves against the title holder," Kevin Iro said.